China's Anti-Monopoly Bureau of Ministry of Commerce visited Samsung Electronics, SK Hynix, and Micron Technology last year to express its concerns over the high prices of DRAM. Unfortunately, these meetings yielded no results as DRAM prices continued to skyrocket in the first quarter of this year. With their patience exhausted, Chinese antitrust regulators finally launched an investigation into Samsung, Micron, and Hynix, which collectively owns 90% of the global DRAM pie. The three DRAM vendors are allegedly cooperating with the Chinese authorities to shed some light into the whole DRAM price fixing matter. If found guilty, they could face fines between $800 million to $8 billion. The estimated fines were calculated based on the companies' DRAM sales in China between 2016 and 2017. Whether you believe in coincidence or not, Samsung, Micron, and Hynix have a long history of being partners in crime. The trio, along with Infineon and Elpida Memory, conspired to fix prices on DRAM in the United States from April 1999 and June 2002. Infineon pleaded guilty in 2004 and was fined $160 million. 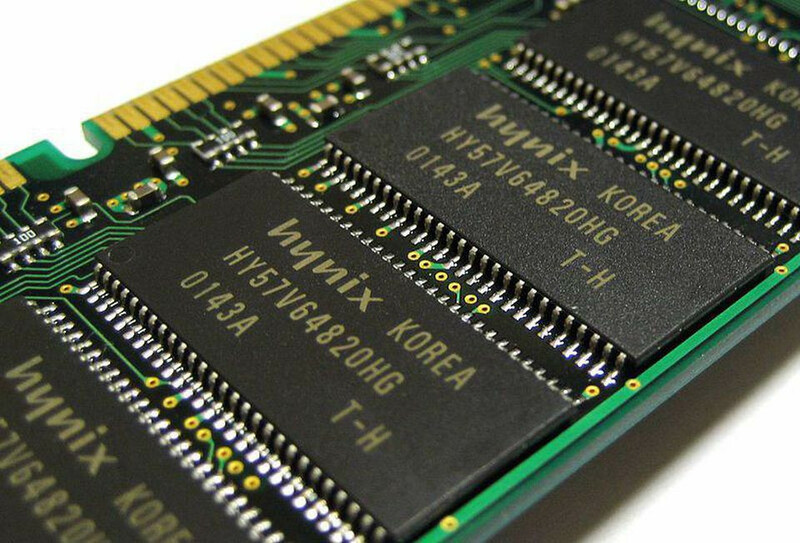 Hynix cracked shortly afterwards and paid $185 million in fines. Elpida got off the hook easy with a $84 million fine, while Samsung took the biggest hit paying up to $300 million. Curiously, Infineon called it quits shortly after the incident, and Micron later acquired Elpida. In other news, China aims to become self-sufficient in the IC department by supporting local manufacturers like Yangtze Memory Technologies (YMTC). Waiting to see if GPU and memory prices suddenly fall. Will this lower prices though?? You headline says the companies were fined, but your contents doesn't touch this topic. Your source, Digitimes, said that they could be fined. Were they fine of not? Which one is it?! Yeah I wasn't satisfied after reading the title then the article. Title could just be changed to "potentially." So last time there were big fines for price fixing 2 of the 5 companies went bankrupt or were bought out further increasing the monopoly? And now we want bigger fines? Only if we keep them from merging after this down to 1 or 2 companies. If there's only 1 company, they can't really collude to price fix, can they? Oh the Irony, now who is going to do something about China doing the same exact thing with rare Earth mineral exports? Hope they will get the biggest fine in history. All kind of Cartels should be banned. Honestly, weirdly I'm okay with it. OPEC did it with crude although it blew up in their face with smaller players moving in to fill the vacuum and reinvigorating interest in renewable energy. As mentioned above China is doing the same today with rare Earth minerals like neodymium. Now DRAM makers decide to do the same and scale back supply, increasing demand relatively allowing them to charge more. Now when Government do it, it's not unlawful? This is only for violations in China. More to come (especially USA and EU). To be honest, we need trust busting here, not fines. The companies should be split in two which means six DRAM suppliers. Well, since this appears to be their 2nd offense, why are they being allowed to get away with it by only paying some meager fines ($300m is chump change to a company like Samsung) ? Also why doesn't the Chinese government enact some anti-price fixing laws that say if you are caught doing this crime, you WILL be put out of business forever ? Because everyone knows they'd never seriously close what amounts to a huge chunk of their economy, and wouldn't even take such a threat seriously? The best we can hope for is for them to forcibly split the companies up. Fines need to be high enough to teach them a lesson, but not bankrupt them. Breaking companies apart has proven to not work(see:AT&T, also related NextEra). $300m is chump change to a company like Samsung) ? Specifically Samsung the fines need to be higher because they're repeat offenders that are always doing these sort of things because they know they'll always make much more profit and revenue than whatever they end up having to pay in restitution if caught. Would you be afraid of conning a group of people out of 3M, when you getting caught is only going to cost you 100k? It did work. Problem is regulators aren't staying on top of it, approving acquisition after acquisition after acquisition. AT&T is probably bigger than it was when it was trust busted, but so are most of its peers. There is virtually regulatory interest in trust busting anymore, at least in the USA. EU apparently prefers fines. You bet, except mergers like that of AT&T and Time Warner doesn't exactly inspire confidence that the current political landscape has any willingness whatsoever to resort to trust busting. The fines only benefit the Government, not the consumer. The companies will simply pass the cost of the fines onto the end-consumer. Even if the companies were made to rebate a large percentage (50% or more) of the purchase price to consumers who purchased the products during the period when the price fixing occurred, the cost would still be passed on. Rather than monetary punishment, those responsible for the crime should be imprisoned, and not in one of those 'country-club' prisons, either. Hard-labor. Agreed with the 2nd part but not with the 1st as that would "promote" for the company to be able to continue to do it "under new management". The way i see it, the monetary punishment should be severe enough to "persuade" all companies to follow the rules AND those in charge @ the time of the crime should be imprisoned for it. So, you believe the Government should benefit, and the actual victims (the consumers who were ripped off) should receive nothing? Ofc the fines benefit the Government but it's not that Government benefits: it's that the infringing companies get penalized. If @ all possible (via legislation, perhaps), a good chunk of such fines should be distributed to those that applied for it, via proof they were among the victims (invoices). But you're argument is that the people that were ripped off, tax payers*, should instead pay more money in the form of taxes to pay for the imprisonment of these blue collar criminals? That doesn't make much sense to me. The fines are a decent compromise. It takes away the thing that is currently most important to these people, their money. However, the fines are not high enough, IMO. Samsung alone makes almost $225 Billion a year, so even if they get the maximum of $8 Billion in fines, it doesn't really deter them from continuing the practice of price fixing(obviously since this is like the 2nd or 3rd time they've been caught doing it). They need to be fined in the $100s of Billions against the company, as well as personal fines against the management people involved that is proportional to their yearly income, ~50% of their yearly income. The tiny monetary slaps on the wrist that they do right now does nothing to deter price fixing. *The argument can be made that essentially every tax payer is a victim here, since anyone with an any modern electronic device is effectively a victim. And there likely aren't a lot of tax payers that have no modern electronic device. Agreed: $8 billion isn't that much to companies of that size. I think the fine should be adjusted proportionally to the infringing company, but severe enough to deter anyone from attempting to do it. Thinking along the lines of 30+% of annual income which, for Samsung's case, would be $67.5+ billion. I'm sure that amount of money would make them think allot more before attempting these kind of practices. And subsequently, the cost of those penalties will eventually get passed on to the end consumer anyway. I agree that repaying those actually wronged would be the fairest solution. How many white collar criminals are we talking about, a few dozen? A mere drop in the bucket, and, any fines would more than pay for their incarceration anyway. You would suggest crippling fines that could potentially cause many, many workers to lose their jobs, because the company may no longer have the resources to effectively maintain their workforce?